1. 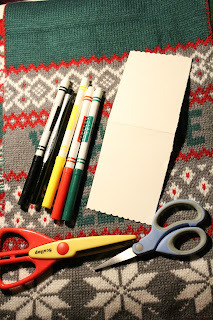 You are going to start out by folding your paper in half and using your fancy scissors to cut the bottom. I then drew two lines with my larger marker that are to be strands of Christmas lights. Next I drew light bulbs on the strand by drawing tear drop shapes. 2. I colored in the lights and I colored them in in no particular order. 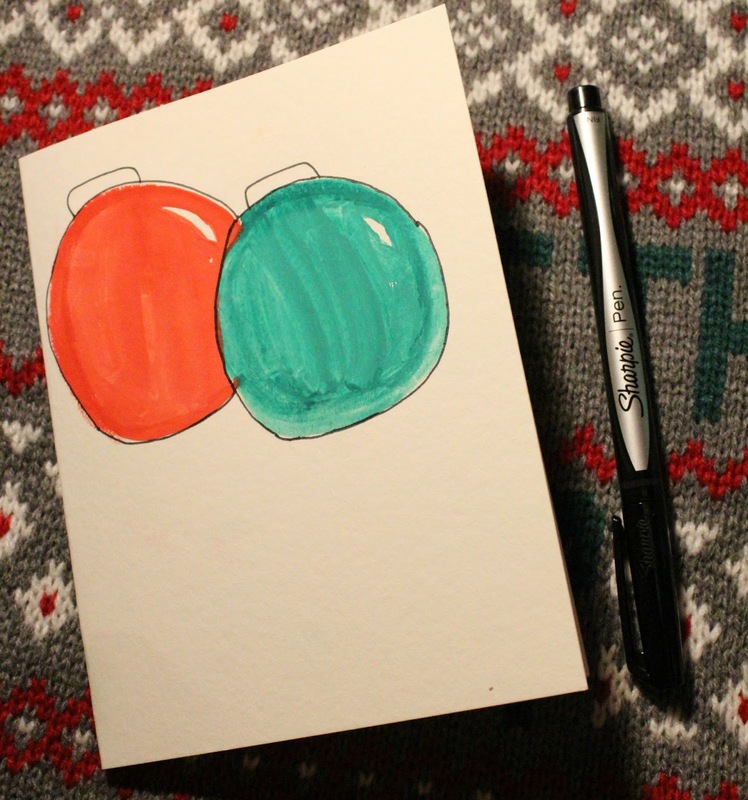 And now you have a really simple yet super cute Christmas card to give to your friends and family! 1. Paint two colored ornaments right next to each other. 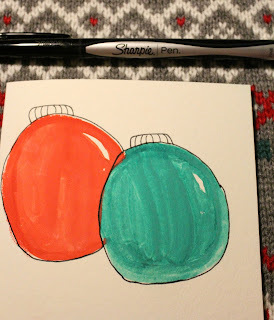 I left a sliver on the right side of each ornament white to look like a reflection. 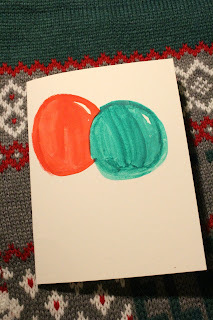 You can personalize this card by making the ornaments that receiver's favorite colors. 2. I outlined the ornaments with a Sharpie pen and drew the top of the ornament. 3. Next I added line in the ornament top to give it detail. 5. 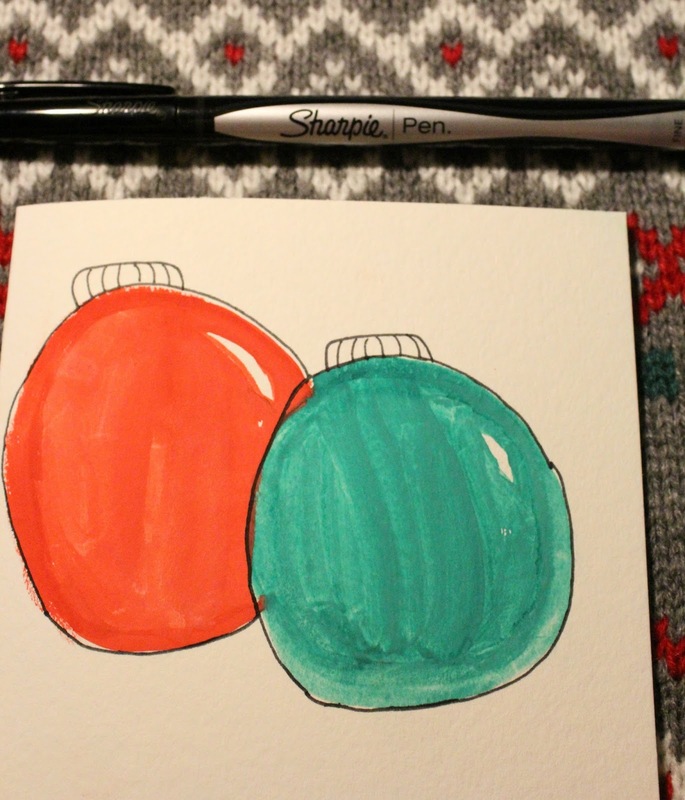 I splatter painted the background with the same two colors I used for the ornaments. 1. 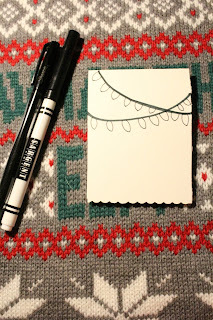 Start by coloring your finger brown and placing it on the paper. 2. Do that as many times as you want. I decided to use two different shades of brown. Oh my goodness! These are so cute. I especially love the reindeer one! Thanks for sharing this tutorial! What a lovely job you did!